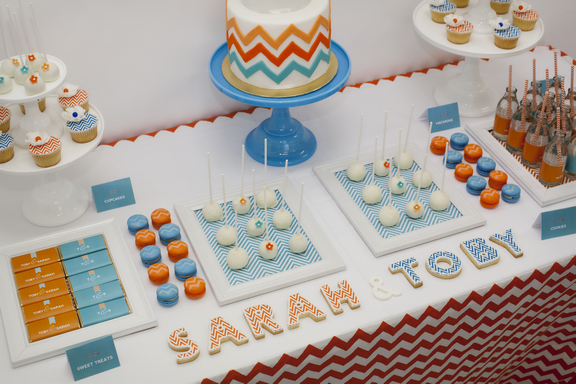 Little Big Company was asked to style a table which was the dessert table for a dinner the night before the Wedding for our the lovely Sarah and Toby- a rehearsal dinner the night before, Sarah is from the US so it was a lovely way for her to catch up with her family and friends who had flown over for the wedding and then the next day a pink and gold table for the Wedding the next day. 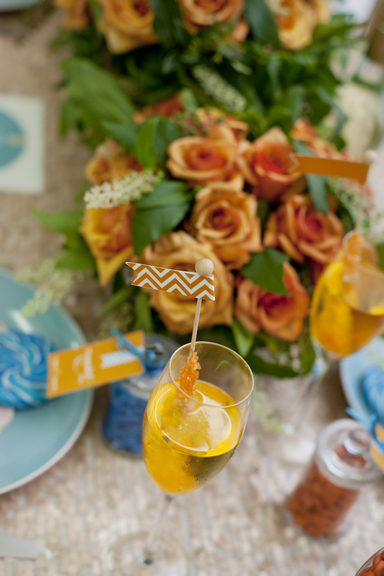 The Groom choose the bright colours for this table as the Wedding table is in pinks and gold picked by the bride and he wanted a modern edge to it, so we decided upon chevron. 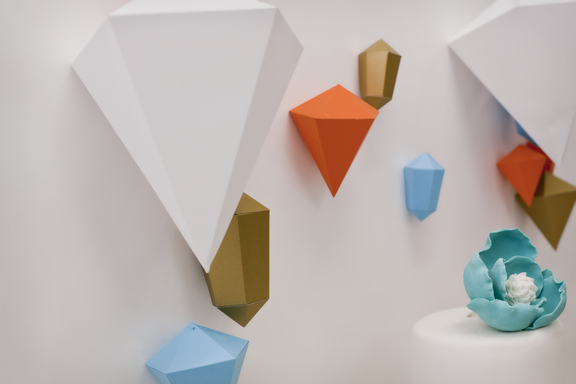 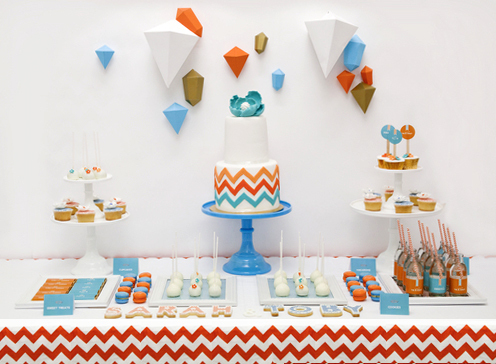 Sarbre invitations and papers made the paper gems I used for the backdrop. 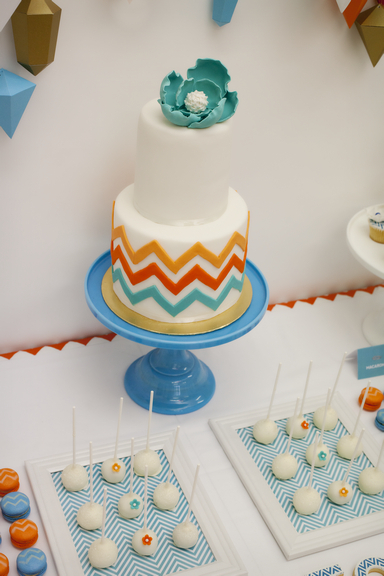 With 2 Sisters Cake making the fabulous chevron cake, the cake pops and with Donna from Sweet Table doing amazing chevron cookies in the their names and matching cupcakes with chevron and flowers, Donna also made table setting names out of cookies for the dinner table, which were gorgeous! 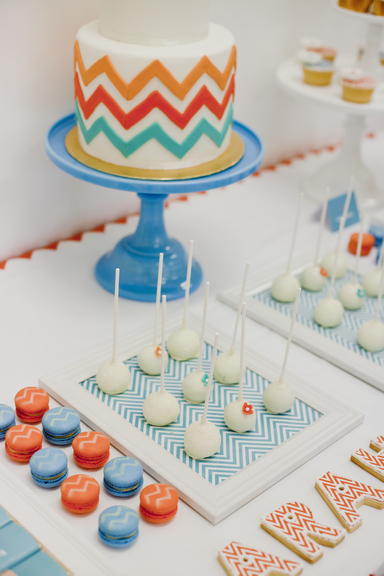 Macarahrah did the amazing chevron macarons with gold dust chevron pattern on top. 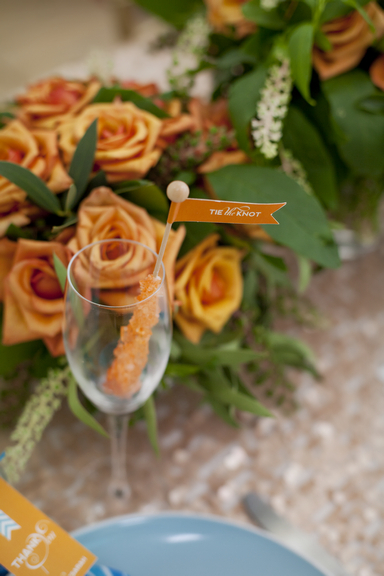 Rose from The Eleventh Flower did the beautiful flowers, orange roses to match the colour theme which were the dinner table centrepieces. 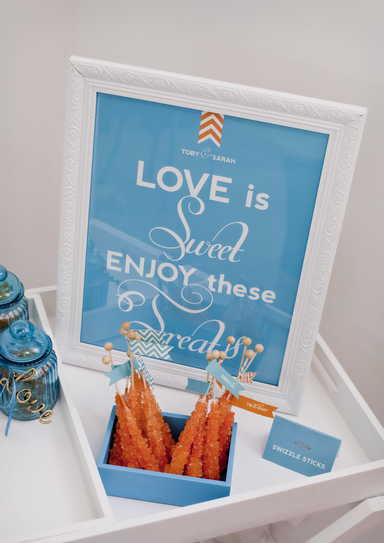 I made trays out of photo frames and placed Sweet Scarlet Designs paperie in them to match the colour theme. 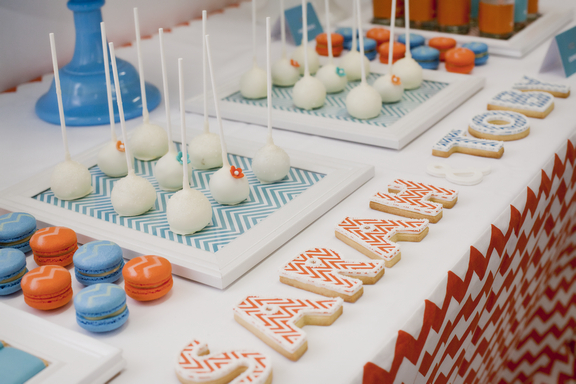 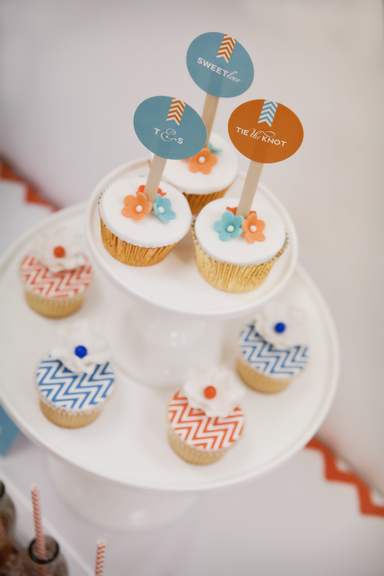 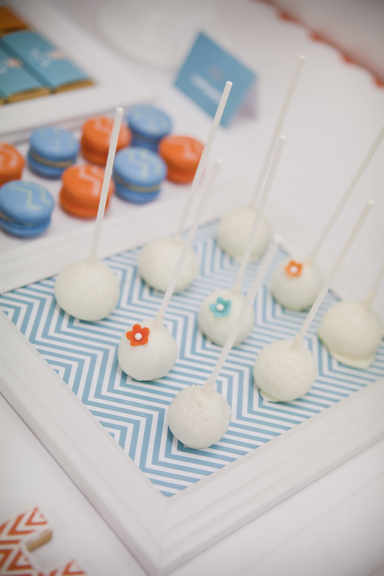 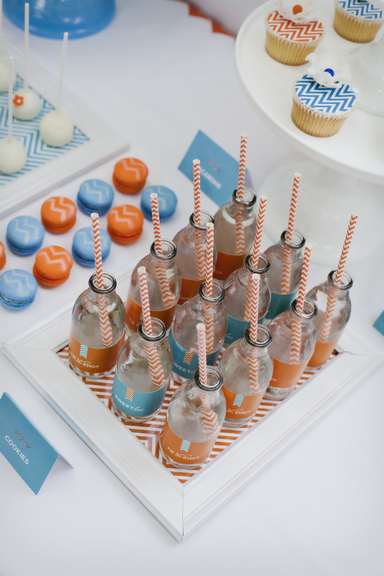 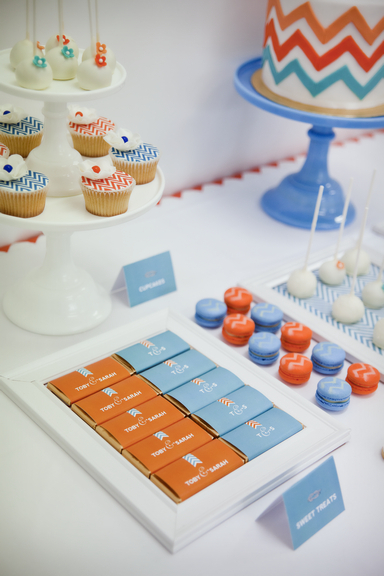 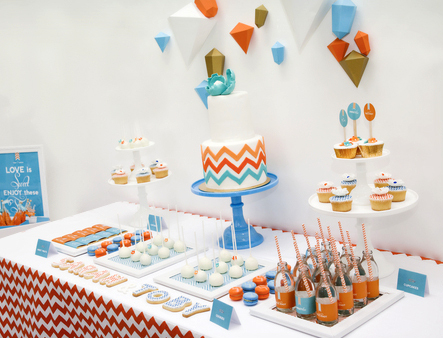 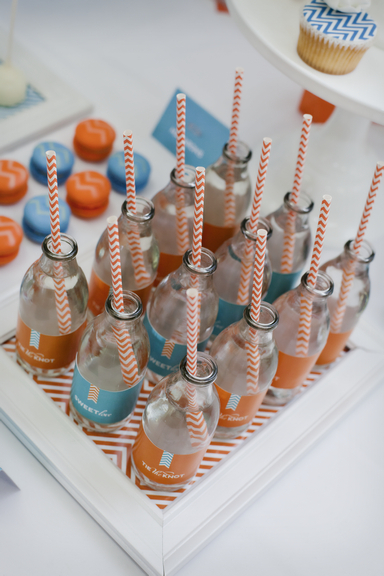 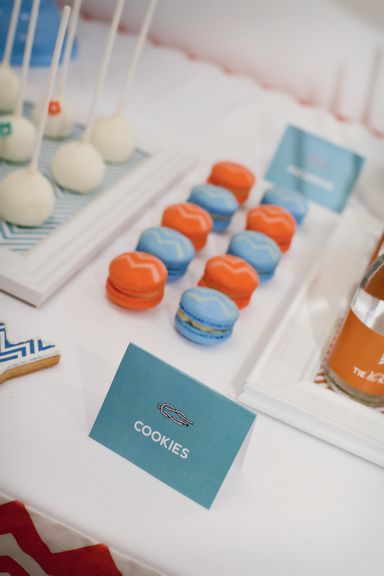 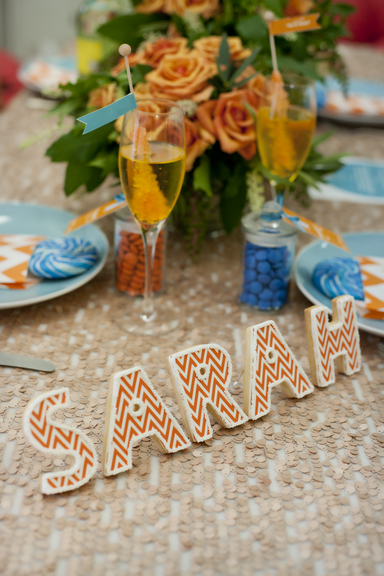 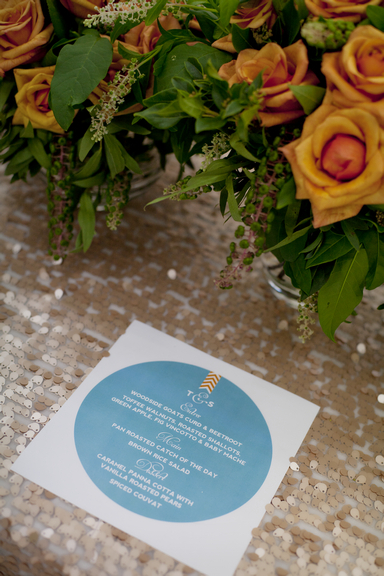 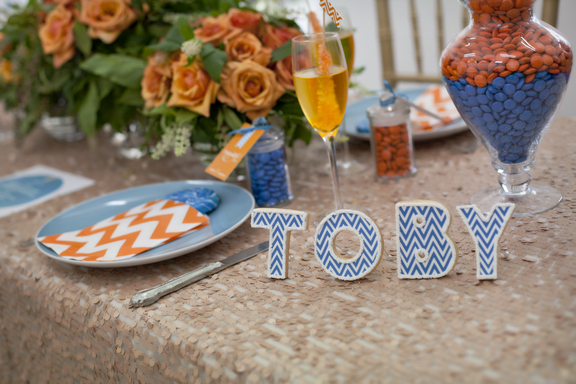 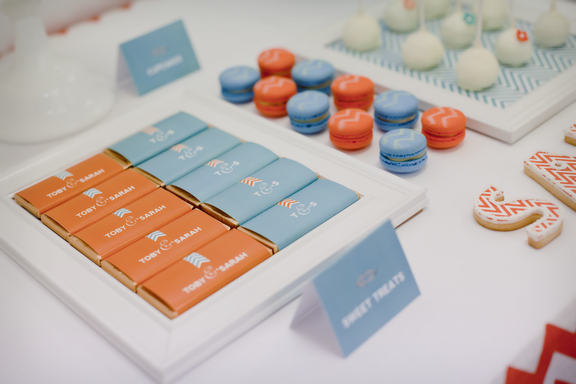 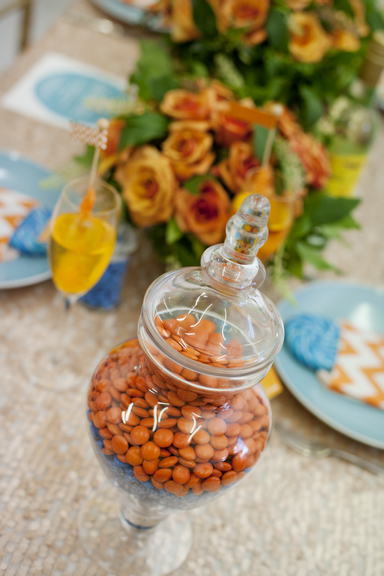 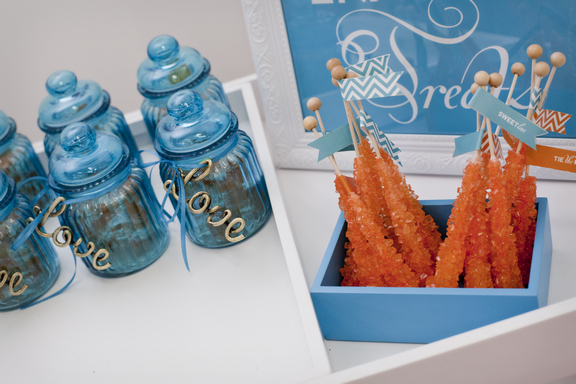 Tammy from Little Dance Invitations provided the choc beans in orange, blue and the chevron straws. 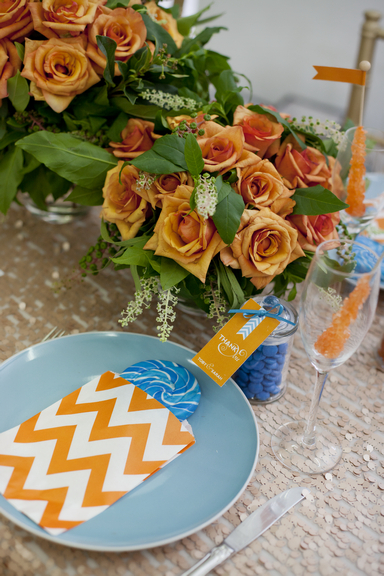 Any Occasion events made wonderful tablecloths for the event, one in chevron and one in gold sequin to add that little bit of glamour for the bride. 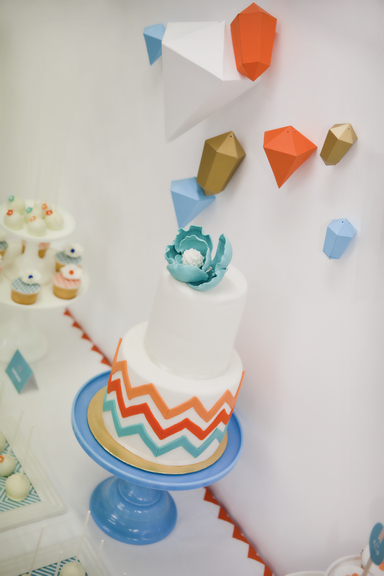 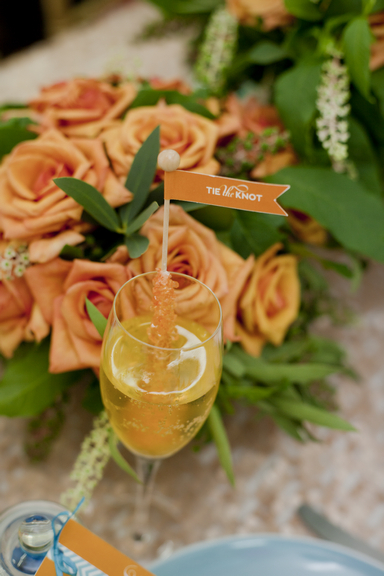 The lovely Elise from Sweet Scarlet Designs designed all the party paperie and Melissa from Memories of Mine Photography worked tirelessly to capture both events for the couple. 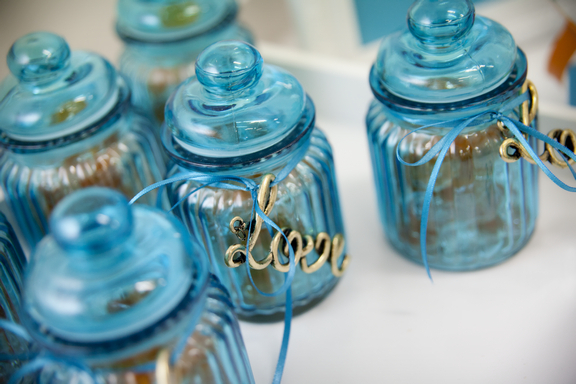 I can’t wait to show you the wedding!